The type of fur is very important when choosing a gilet. Fox vests usually have a long, voluminous hair. This feature makes them perfect for people who usually wear a 42 maximum. The fox vests instead have a very shaggy hair and are perfect for any size. The chinchilla and sable gilets are the most required by those who like to be warmed even in less cold periods by this type of fur. The sable vest is very shiny, and it is always in natural color. The chinchilla vest is often dyed in very simple colors such as red, green and toffee. 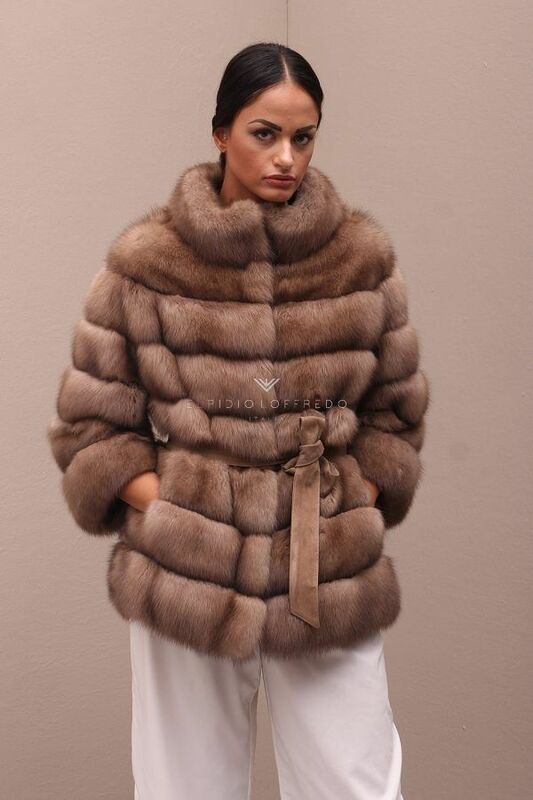 The chinchilla fur is very warm and soft, perfect for creating fur vests. The length of the fur vest is fundamental in the choice, as a very long vest will not always be the most used. The real fur gilet is often purchased with lengths ranging from 60 cm up to 130 cm. The vest is much more practical and easy to wear and it is 60 cm long. Also it is often combined with a slightly shorter quilted jacket on colder evenings. 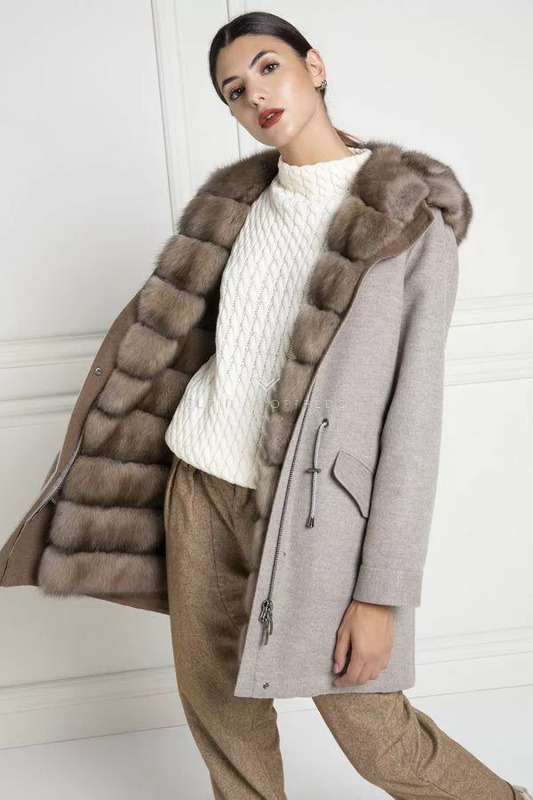 The long fur vest instead is always paired with a very long coat so as to warm up well, despite the long slits on the vest sides. The 130 cm waistcoats are made according to customer requests. They are made with wide side slits to allow customers to walk without having the pressure of the fur on their legs. The color of the fur vest is another determining factor. Buying a very colorful fur vest will not help us wearing it on several occasions. On the other hand, a dyed color that is not too strong or a natural color will surely be exploited more. The fur vest can be worn from September until the first days of April. Even during the winter, the vest can be very useful, as a fur vest with a slightly wider armhole allows us to wear also a leather jacket or a padded jacket. Wearing a fur vest for every day is very easy, you just have to wear a skinny jeans with a simple shirt or a white shirt and a sports shoe. The fur gilet goes perfectly with very large bags, or with simple leather backpacks. 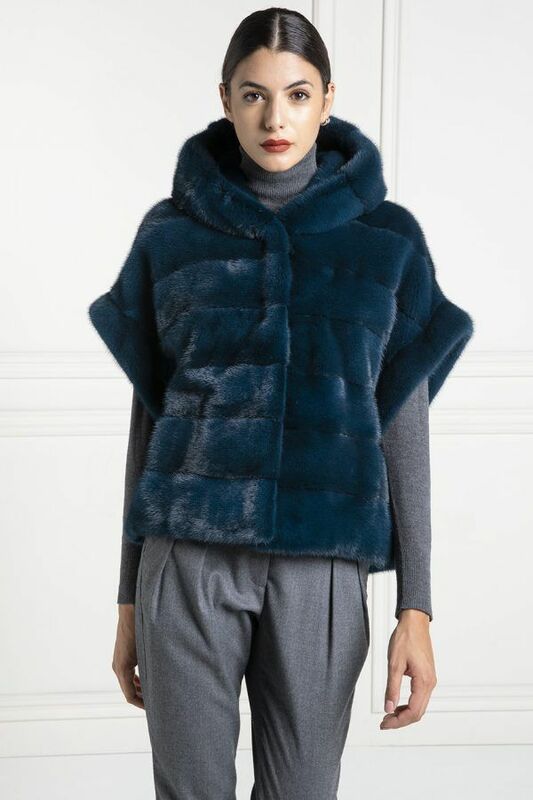 The fur vest can also be worn with style and create a chic look or an evening look. Combining the fur vest with a dark dress is very simple when we use a natural fur. Our evening look will be really super! The quality of the leather used to make the Elpidio Loffredo fur vest is extremely sublime. The leather used comes from the best auctions in the world and it is carefully selected by our staff. Another determining factor is the type of processing. Each year our craftsmen perfect their processing techniques to achieve perfection and create fur vests at a low price, compared to quality! The fur vest price is optimal compared to the competition, calculating that the ElpidioLoffredo collection is completely Made in Italy: every Elpidio Loffredo article is carefully crafted by Italian artisans. A choice of quality and reliability, which is the real strength of the company, and the main feature of his creations. The fur vest prices start from 590 up to 15,000 euros. The fur vest price depends on the quality of the leather used, the inserts and the type of workmanship. The price of the Elpidio Loffredo fur vest is unrivaled when we consider the quality! There are fur sleeveless, online, at ridiculous prices, wary of these furriers because the quality and the product sold are of dubious origin!